When grown in the Mediterranean mountains and used in its purest form, oregano can fight off many different kinds of infections. The oregano essential oil is derived from fresh oregano leaves and is commonly extracted through steam distillation. Oregano oil can be taken internally with oregano capsules or oil under the tongue and used externally as a topical treatment. According to Dr. Cass Ingram who wrote the book "The Cure is in the Cupboard," wild oregano is one of nature's most versatile essential oils. It can be used to fight fungus and yeast infections as well as treat allergies, hay fever, cold and flu symptoms. Dilute 100 percent pure oil of oregano with extra virgin olive oil. You can do this by mixing one drop of oregano oil with one drop of extra virgin olive oil. Sterilize an old eye dropper bottle or other container ahead of time. Pour the diluted oil or oregano into a sterile container with a dropper on the top for easy use. Drop one to two drops of the diluted oil under the tongue for the first dosage. The mixture should be placed under the tongue and held there for a few minutes then wash it down with 2 to 3 oz of water. Drink the water and gargle it with the oregano oil for 1 to 2 minutes then swallow and wash it down with the rest of the water in the cup. This should be done once or twice a day. Try oregano in vapor form to help fight off sinus infections and clear throat and nasal passages. Use the pure oil of oregano with boiling water to create a vapor that can be inhaled. Mix 1/2 cup of boiling water with 2 to 3 drops of oil of oregano then cover your head and the cup with a towel to trap in the steam vapors and breathe deeply. Use oil of oregano externally by rubbing it on the affected area. 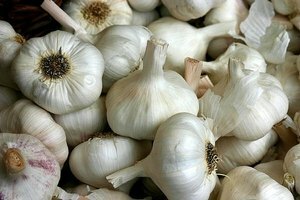 It can be used to treat some skin problems like acne. Apply diluted or pure oil of oregano to the infected skin once daily. It will sting the area and leave a red spot, but the stinging should go away after about 10 minutes. Use oregano oil to help treat dandruff by combining the oil of oregano with your shampoo. Use 10 to 20 drops of oil of oregano with about 8 oz of shampoo and mix well. Then shampoo your hair as usual. Leave the shampoo on your head for a couple of minutes then rinse. Avoid contact with eyes. Apply oregano oil to the skin in order to treat warts and boils. You can do this by saturating the area with oil of oregano then covering it with a bandage. The wart or boil should be treated daily until it is gone. The treatment period is generally about 1 to 2 weeks. 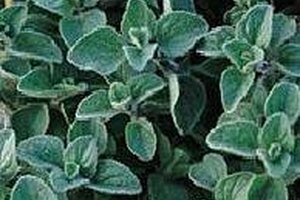 Oil of oregano should be used with caution because it can be harmful if you take too much or if it is applied directly to a mucus membrane such as the eyes, nose, mouth etc. 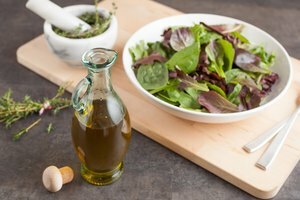 It is a good idea to dilute the oil if you are not experienced with using the pure form of the oil of oregano. The oil of oregano will disperse quickly through the body. It can be used to fight off fungi, bacteria, yeast, internal parasites and viral infections. Oil of oregano capsules are a good option if you are using the oregano for a health supplement or to treat an internal infection.